COMMENTS: Adds professional touch to products!! COMMENTS: Great for sealing scrubs and body butters inside containers for safety, clean and professional look. Must have for your products. COMMENTS: I have been using these for years now. They seal very well. You need to make sure you clean the jar well or they will not stick and seal. "Am I doing it wrong"
COMMENTS: I don't think I am applying this liner properly. It doesn't "stick" to the top of the containers and is easily moved. I was looking for something that would stick on and would have to be peeled off in order to access product. Can someone provide instructions? COMMENTS: These press & seal liners are easy to use and work perfectly. I will definitely be purchasing again! "Good prevention measure for keeping fingers out"
COMMENTS: Had trouble with these not sticking to the jars at first. You need to wipe the top edge of the bottle with alcohol first and they will work perfect. COMMENTS: These are perfect for multiple sizes of jars to prevent leakage during shipping. COMMENTS: Just what I needed to help transport our products safely. Perfect seal and fit. COMMENTS: I love these! They help create a professional packaging. NO MORE LEAKS!!! COMMENTS: These seals work just as they should! I smile every time I have a customer who opens a jar of body butter for a smell and says, "oh, a seal, how professional". I then steer them towards the samples where they can not only smell, but try the product. There was one time, before I was using seals, that I have a woman not only smell, but actually stick her finger in a products that was not the sample. COMMENTS: I've bought these elsewhere and they never held up like the ones I buy at Wholesale supply Plus! I would never buy them anywhere else but here. They sealed quickly and even after a year my left over homemade sugar scrubs still remain sealed. • How quickly they arrived. COMMENTS: I got these so I don't have to worry about leaking liquids...works great! COMMENTS: i like them alot! COMMENTS: I use these to seal my sugar and salt scrubs, whipped soaps, and creams. They work well most of the time but sometimes I find when the lid gets unscrewed it takes the seal along with it which is fine when selling direct or shipping. The whole reason I started using the seals is because of people at events opening jars and sticking their fingers in my products. When they come up with the lid it doesn’t stop that which is the only negative I have about them. COMMENTS: I was looking for some sort of seal that didn't require heat in order to seal the product. I happen to come across these and gave them a chance. I ABSOLUTELY LOVE THESE!!!! Simple to use, not time consuming at all, and the best part is it doesn't require heat to seal!!!! I am DEFINITELY going to be purchasing again! COMMENTS: So far I have only used this with the 3oz clear jar WSP have. At first I was wary because it would keep coming loose, so I left it for a few days. I checked back on it and they have sat in place. Just be sure to tighten the lid so it is firm so the seal can sit in place. COMMENTS: I bought lids without liners by mistake and these came to the rescue! COMMENTS: We use these liners on our 4 oz jars of body scrubs and body butter. They are super easy to use, create a firm seal over the product and make the lid seal extra tight. We’ve never had a product leak when using these liners. COMMENTS: These press and seals work great. I didn’t think they’d seal as quick or as well as they did. Definitely recommend! COMMENTS: This seal is great for my sugar scrubs. it is the first I found with great price point and stays sealed. even when a customer tried to turn it upside down when opening!!! "Dead Sea facial mask "
COMMENTS: I had to add these to my whipped sugar scrubs to keep curious customers from sticking their fingers into my products. I don't mind if they smell them but I like to avoid contact with the product for sanitary reasons. These liners are very easy to put on and are clean and professional. "Perfect for my sugar scrubs!" COMMENTS: I use these seals for sugar scrubs and body butters and they have worked great so far. COMMENTS: This really does stick on. Great item. COMMENTS: This is a great product to use for sealing your jars. COMMENTS: These liners work Perfect for keeping creams and scrubs sanitary..I wont be without them. "Works great, wish there were more sizes"
COMMENTS: I LOVE these liners, but I wish I could find them in sizes to fit my containers! But if I cut it down to size I can actually seal a jar of oily, runny, salt scrub without any leaks. They work GREAT! COMMENTS: It was important to me to have a tamper proof liner, and my customers like this added touch. Not many homemade product makers use these so when I tell people about them they are impressed. COMMENTS: These make my products have a professional appearance. "Essential for my creams and scrubs"
COMMENTS: I rely on these seals for my creams and scrubs. They have allowed me to stop using the shrink bands so the product looks more appealing to my customer. COMMENTS: I prefer these over shrink bands for jars, they really give a professional touch to products and give customers peace of mind! Very good price too! COMMENTS: I love these for my emulsified sugar scrubs, whipped soap, whipped body butter! Keeps produts in the container without worry of leaking! COMMENTS: I love using these liners! They are super easy to use, protect my products from contamination and also give a very professional look. These are also the perfect size to fit a regular mouth canning jar. "Press and Seal Liner "
COMMENTS: I do not know what I did without this liner. I was having oil/product leaking from my packaging. This product has totally stopped that problem and saving me money with repackaging product. I would recommend this to anyone. "Some worked, some didn't. " COMMENTS: For my first use, I found that some of these didn't fully seal the first time and some did. It could be user error but I felt like I did them all the same. I had to go back and check each one and hopefully they eventually all seal. It is a very valuable product. COMMENTS: These Press & Seal Liners works very good, I had no problems with my product. It seals very accurate, just perfect. Thank you! COMMENTS: Great purchase...safely seals my product in AND ensures I have a polished, professional product look. Easy to us! "great to seal coconut oil"
COMMENTS: My business deals with beauty products that use coconut oil. It is very hard to find packaging that prevents leaking. I use these press and seals to give that extra insurance that my product will not leak. Very simple to use. I just place in the top of my lid and screw on. COMMENTS: Fits perfect on half pint mason jar. COMMENTS: Nothing could be easier to use than these press and seal liners, perfect for keeping my oil based scrubs from leaks. COMMENTS: I like these but even after cleaning with alcohol they don't always seem to stay sealed. COMMENTS: I had bought some lids and didn't realize that they did not come with liners, I looked all over for the liners and could only find them at WSP for a great price! Worked perfectly! COMMENTS: Perfect seal every time! COMMENTS: Just what I needed to keep my body scrubs from leaking! At first I was just using shrink bands but my scrubs were leaking in shipping so I started using these instead. COMMENTS: These work perfectly for me. They give my products a professional, finished look and keep my products safe and sanitary! My customers all love the fact that I use these as it gives them peace of mind. Super easy to use too! COMMENTS: I love these liners because they're incredibly easy to use. Just clean the rim of whatever jar you're using, place the liner, close the lids, and done. They give everything a really professional look and I feel confident about protecting my customers and my product when using this. COMMENTS: I took a look at the reviews as I always do before purchasing new items for my products and noticed some people were having a hard time using these. I decided to try for myself and I'm glad I did. I got these in a few sizes and they work perfectly. You just have to go slow,make sure the area is dry, push down and and circle the area with your finger a few times like you'd make a crease in paper (best example I can think of) then add the top. I didn't have an issue with any of them. I tested quite a few to be sure. COMMENTS: At first I wasn't sure, but gave it a shot and this item has become my go to seal for my double walled 4 oz jars. COMMENTS: These seals show how serious you are about your business and products. You do have to center them just right, apply pressure for a full min, carefully place lid and the lid will do the rest. COMMENTS: We absolutely love these seal liners. Before we started using them, we had a few not so great experiences of our product leaking from the jars that we were using. When we started using these, we instantly fell in love with them. They are easy to use. They protect the product and prevent leakage. And our customers appreciate that they are provided with a protected and professionally packaged product. COMMENTS: I love these! They give a nice professional look, stick on well and prevent leakage. • Plain white would be great. "Press & Seal Liner - 70 mm"
COMMENTS: I love these Press & Seal Liner - 70 mm I have no problem with lotion leaking out makes a great seal! This is another great product from WSP I will not be without! COMMENTS: These are really good. I had doubts but they hold up very well and seal great! COMMENTS: I use these when I put lotions in jars. These help secure so I know for a fact there will be no leaking. My first time using them I had a little trouble getting them to seal. The trick is to place them in the lid top and then just screw the lid on and leave it. Have the faith it will seal. I kept trying to check it and was pulling it off at first. Love these! Will continue to buy! COMMENTS: Used this as a seal for my goat kill lotion. It seems to do what it's supposed to. COMMENTS: Great for sugar scrubs. "I wish they were plain white "
COMMENTS: I have cobalt blue packaging with silver lids and the red printing is slightly off putting. They work great and seal well; but I deducted a star for aesthetic reasons. I think it may give client peace of mind; but for me, I would prefer just plain white. The product is beautiful, the packaging and labels are beautiful, the inside packaging should not deter. • Gives clients peace of mind. "Adds a Great Professional Touch"
COMMENTS: I found these press-n-seal discs to be exactly what I was looking for. After applying them to the top of the plastic jar, in about 1/2 an hour they were sealed shut. I dab a cotton ball into some rubbing alcohol and thoroughly wipe off any oily residue that my sugar scrubs may have left, before applying the sealing disc. They aren't 100% leakproof, as I found out when one batch of scrubs started to melt in the shipping process, and the discs were then loosened. But in an ideal situation they seal perfectly and make the finished product look quite professional. COMMENTS: Every one of these liners has worked so far. I have not had a dud yet. I load my cream in the jar carefully and then use a paper towel sprayed with alcohol to double clean the plastic edge before placing the liner seal on evenly. Then I screw the lid on snugly and let it set a few minutes. To check the seal, I gently remove the lid to find my seal secure. It gives that fresh and professional look to the product. I would buy again. • These work well to seal the jar. COMMENTS: I love these! I use them with the double walled jars for my body butters, and use a shrink wrap band. My customers know that their product is just as it was when I made it! COMMENTS: Helps prevent fluids from leaking. COMMENTS: I made a lovely body scrub, not too oily not to dry, just perfect. Got waterproof labels, they worked perfect. The seals though are garbage! The scrub ate through the seals and leaked everywhere. Waste of my time and money! WSP Response: I am so sorry you had an issue. Some bases will eat through the seal while others do not. It varies formula to formula. We recommend everyone produce a test batch before making a final product. COMMENTS: Worth the time! You need to make sure to wipe the rims clean to assure a proper seal. Very professional look to my finished produncts. Absolutely will purchase again. COMMENTS: A must-have, for keeping products clean and protected in their jars. Looks very professional, too. COMMENTS: These liners are a life saver! I don't have to worry about anymore leaking! COMMENTS: Looks very professional on product and safety seal for the customer. COMMENTS: They seal very nice. Make sure the rim of your jar is wiped thoroughly, and that your product doesn't have more than the recommended amount of fragrance oils. That could weaken the bond. These work so well that you can't smell through them. It keeps your product sealed from the air and customers from touching the stuff inside. 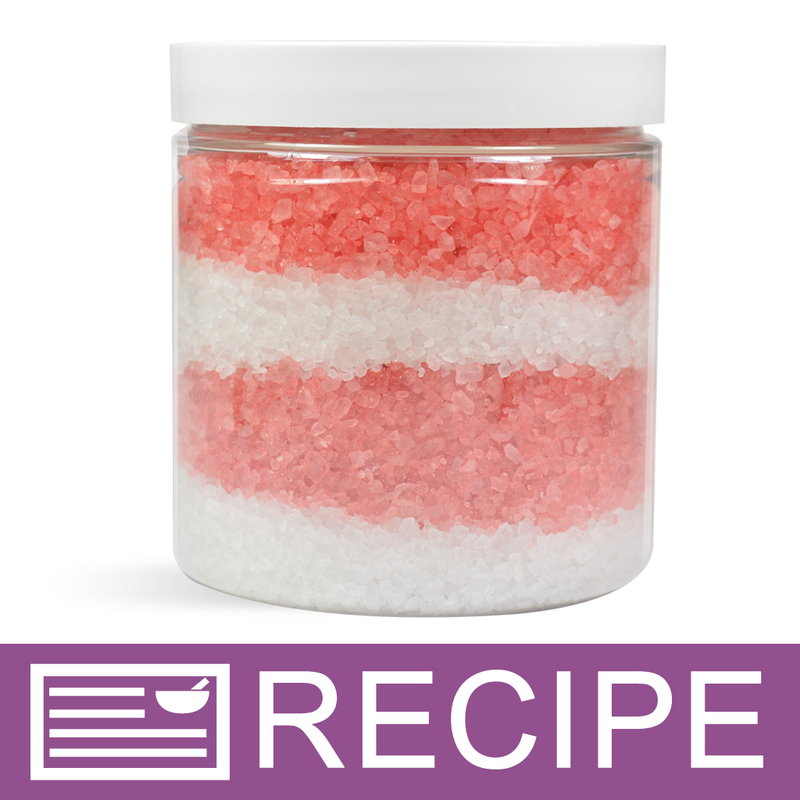 COMMENTS: This is perfect for sealing my salt and sugar scrub and cream for shipping. It prevents leaking in the summer when the hot temperature melts the products during shipping. It is also a great protection seal when bringing products to the market to prevent customers dipping fingers into the jars. "Excellent to maintain your products"
COMMENTS: This is absolutely necessary for scrubs, otherwise the oils will seep out of the jars. A must have, especially if you ship your products. COMMENTS: I use Press& Seal for my Sugar Scrubs and Body Butters. They give my containers a professional touch. Customers have even complimented my product and told me how it gave their containers a professional look. I will purchase more. Also, I have seen where some customers stated how they didn't work. You really have to make sure you use alcohol to wipe away any product from the edge and outside of the container. Once dry, screw top on tight and wait and hour or two and it will attach itself. I am glad I purchased these. COMMENTS: I only gave these a 4 star because they do seem to come off too easily when you turn the lid off but I still like them and continue to use them. COMMENTS: Very effective in preventing leaking in my oil/salt scrubs. Highly recommended. "Must have if you make products that are in jars." COMMENTS: This is a must have if you make products that go into jars. Makes everything look professional and clean. "Press & Seals- A must have"
COMMENTS: These are great for sealing your jars especially, if you're selling product. Most of us have had customers that love to open up the jar before purchasing.. and these prevent your product from getting contaminated. They take a moment or 2 to properly fit, but totally worth keeping the integrity of your product. COMMENTS: It is very easy to work with and nothing sticks from jars! Great product! COMMENTS: Works well when I screw the cap on tight. COMMENTS: I use these seals for my lotions and scrubs. These give my products a professional finish. I have less products that leak during shipping, I won't ship anything without these. Great product and price for the peace of mind I have when I ship products to customers. "Very difficult to use and time consuming"
COMMENTS: These liners are not easy to use. I had followed the instructional video and they absolutely would not stick by just pressing and sealing on the cap. They would stick to the jar lid and pop off. I had to push the liner on very hard with my fingernail and then leave the jar lid on for at least 30 minutes. Sealing the jars was very time consuming and I will be looking for another product that is less time consuming. "excellent fit and easy to use "
COMMENTS: I used these liners for my 8oz sugar scrub jars and they worked great. They were easy to use. I would definitely buy them again. Great value for price. My only issue was that there were no directions on how to use. COMMENTS: My Customers appreciate the professional touch this adds to sealing my buter! COMMENTS: These are simple to use and WORK GREAT. Just pop it in the lid, screw the lid on and wala! LOVE THIS PRODUCT! COMMENTS: Doing outdoor retail, we were simply shrink-banding our jars. Now this helps when the tempts get too hot. COMMENTS: I use the Press & Seal Liner - 70 mm to sealed our Calendula Herbal Salve that comes in a 4 oz. container. These are perfect to make your product look professionally packaged! Wholesale Supplies have the best price!!! "Very professional without any fuss"
COMMENTS: I use all the press seal disc liners for my product packaging. The seal is very good and tight. This one goes with the 8oz jars I use for body butters, sugar scrubs and MP shaving soap. I like it because I feel it gives my business an extra measure of quality assurance. It's peace of mind for me and my customers! COMMENTS: cant get them to seal all the way and my products partially eat through them, leaving a plasticy film on my scrubs, lotions, shampoo, etc. WSP Response: Glad you tested your formula for compliance. This product works with most bases. It would be interesting to know the percentage of fragrance or essential oils used in the formula. If you want to call us, we can add it to this review. "4 oz double wall liner"
COMMENTS: I use these with the 4 oz double wall jars (clear). They do an excellent job, self-sealing and work great! COMMENTS: Works well for my scrubs. Keeps the product in the jar and seals perfectly. No running oils when the product arrives at its destination. These are a MUST. "Didn't work well for me"
COMMENTS: I used these on the white double wall plastic containers and could not get them to seal. I tried several suggestions- press firmly with your fingers around the rim and then attach the container lid; put the liner inside the lid and screw it on tightly. I tried both methods, left them alone for hours so it could adhere, but when the tops were removed the liner was either stuck in the lid or it was only half way adhered to the container. COMMENTS: I use these with the 4 is double wall jars and domed lids. I love the finished look and hygienic seal. Very professional quality! COMMENTS: These are a must have for your scrubs and body butters. Very easy to use and gives peace of mind to your customers. COMMENTS: I have been using these sealers for over a year and I wouldn't be caught without them now. Initially I added them so customers would stop opening my scrubs and ruining them by not capping them (or worse!). But they add such a professional touch to my product line and they keep moisture in the scrub. Double bonus! I have never experienced any problems with them. I do run a clean paper towel spritzed with alcohol before applying. COMMENTS: Easy to apply, look professional . COMMENTS: I like to make my products look professional so I add these press and seal covers to give it that look. Love them! • Clean and professional look. 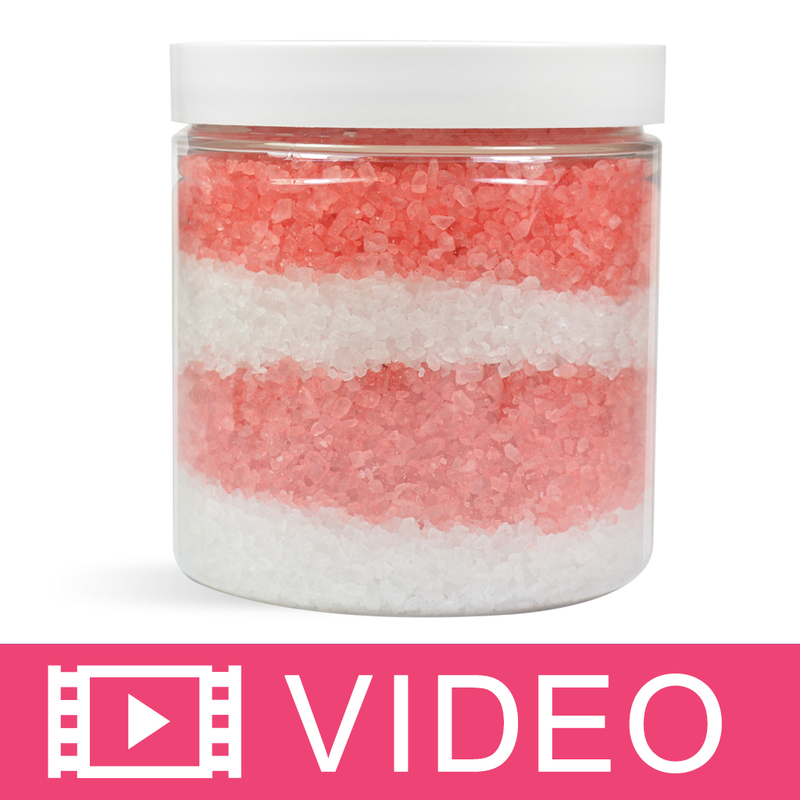 COMMENTS: They fit perfectly in my jelly jars and jars I use for my scrubs and shaving soaps! COMMENTS: I WAS DËLIGHTED TO FIND THESE. THEY MAKE MY PACKAGING MUCH NICER. COMMENTS: I love these sealers, they give me piece of mind and are extremely easy to use. Just make sure your container top in thoroughly cleaned, add your sealer and put on the lid. I check mine after 8 hours and they have all held up well. I would recommend these for piece of mind. I enjoy knowing my products aren't being tampered with. Customers like that too! COMMENTS: Perfect answer for scrub jars! My sugar scrub would leak during mailing and leak during transport to my market and these seals prevent that! Easy to apply to the jar...just make sure that you have the lip of the jar free from oil or the seal won't stick. Inexpensive and extremely helpful. They also add a nice, professional touch to the look of your products! It gives customers peace of mind to know that your products are sealed and fresh! "Keeps fingers out of my products." COMMENTS: Love these. Had some problems when I first tried them but after wiping the rim with alcohol had no more problems. I love the fact that by using these my customers have commented about them being so sanitary knowing no fingers have been in the product. I do wish they came in more sizes but I just cut them to fit if need be. Some customers have said they have less problems with security going through airports because my products have these sealed labels. "No More Leaks!!! No More Leaks!!!!" COMMENTS: These inexpensive little disks are a life saver!!!! I can finally travel with my products to different businesses without a box full of oil by the time I get there!!! Ingenious and very professional looking. Tamper evident. Self Seal. Just place on the dry lip of your jar and tighten lid down on top. Will self seal within 30 minutes. COMMENTS: I pressed and they sealed! It doesn't get any easier than that. Wow! I am so pleased!!! COMMENTS: Great paired with the 8 ounce jars. COMMENTS: Easy to use, must have for my Scrubs and Body Butter. Minimizes leakage, great a professional look to end product. COMMENTS: We use this Press and Seal liners for our sugar scrubs. Our main reason for using them is to keep customers from opening the jar and "testing" it. It works great....of course, it keeps product from leaking when we ship. Wouldn't be without these! COMMENTS: I love these! They make my product look very professional. I did check each jar after a few hours and some got caught on the screw top and came off. After a little longer, they all stuck. COMMENTS: At first I had some problems sealing the liners on my cream jars.. I discovered that once I filled my jars I used a clean paper towel with some rubbing alcohol and cleaned the rim of the jars. Let it dry for a few mins. and then press your seal..they all seal perfect now!! COMMENTS: A friend saw my products on the shelves in my house and wanted to try some of my cream. She tried to open and smell it, but the seal prevented her from doing this. She was very impressed that the product looked so professional and was tamper resistant. Some of the seals took several days to stick to the jar, but they all did stick. I just wiped off the rim of the jar and tightly put on the cap. COMMENTS: Slide this into the lid first, then screw lid down...seals perfectly!! LOVE this item and so glad I found it! COMMENTS: These work great. I use them for sealing my bath salts that I place in the 8oz. square jar. COMMENTS: I used these with the 8oz. Amber Plastic Jars filled with the salt scrub and they worked Great!..Everyone of them sealed and I got a lot of nice complements about the professtional look! COMMENTS: These are the best invention. Not only do they keep the product in place, but they look very professional. No more leaking jars or customers dipping fingers in at shows. "Do I use this liner for the 70/400 dome lid? Your descriptions need more specific info, finding it hard to navigate your site to put packaging together. Please make it more clear, I love your stuff, but spend way too much frustrating time trying to find stuff, especially the way searches "hijack" to many other items." Staff Answer This is the correct liner you would need for this lid. The liners correspond to the first number of the lid if you are looking for other liners in the future. "I don't see an aluminum option for this size liner. Do you offer a 70mm aluminum liner? Or if I use this liner for a basic oil scrub, and it liquefies, will this particular liner hold up?" Staff Answer We do not have an aluminum liner in this size. With any type of oil product, there is a slight chance of the product leaking, even with a seal. You may also want to look into a type of clear tape to place around your jar during shipment. "Hello. We've got some jars that we need to seal and your Press & Seal liner would be perfect. Problem is the diameter we need is 65mm. Would the 70mm work whereby a couple of mm would just fold down around the edge when the screw top was applied ? Thanks." Staff Answer We do not have any jars with a 65 mm opening so we have not tested the press and seal liners on that size jar. You should be able to use the 70mm liner by slightly trimming the edges to get it to fit on your jar. "Will these fit 70G CT glass jars (like an 8oz mason jar)?" Staff Answer Hi Kristen, the press & seal liner – 70mm is meant to fit a container that is 70mm in diameter. I would suggest measuring the diameter of your jar and using the press & seal that applies. The press & seal can also be trimmed to fit and should not affect their ability to seal as the "glue" is embedded throughout the entire foam liner, not just the edges. Hope this helps. "Can these be cut down to size for a smaller jar, (from a different manufacturer)? Would they still seal properly?" Staff Answer Yes, they can be trimmed to fit specialty jars. This should not affect their ability to seal as the "glue" is embedded throughout the entire foam liner, not just the edges. "What size would I need for a seal to fit a cap size of approximately 2 inches for a small glass jar. We will be using the jars to contain scented bath gel,will this seal need anything else to go with it to protect the cap from rusting? " Staff Answer 2 inches is approximately 52mm in diameter. Therefore you would need a press & seal liner that is at least 54mm. The closet we carry is our 58mm liner. I would check with the manufacturer of your jar to see if they can provide the lid size or neck size of your jar. Most companies use standard sizing which would be listed in millimeters followed by the thread size. i.e. 58/400. "Is this product suitable for use with food products? " "How much if i order 12,500 and how long to get it? " Staff Answer We welcome your order. You will need to call customer service for lead times. All of our pricing is online. Thanks for your question!